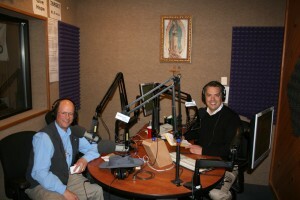 Monday at 4 PM Eastern: “The Stones Cry Out: the Apologetics of Archaeology” with Al Kresta on Ave Maria Radio. Link to Archaeology article mentioned on Al’s show. Monday at 6 PM Eastern: Catholic Answers Live: “The War Against Christmas” Click here for the Islamic Scholar saying that saying that “Merry Christmas” is more evil than murder or adultery (**see below). 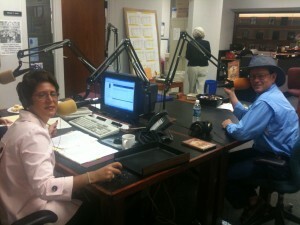 Archived show: LIsten now, download for later. Tuesday at 9 AM Eastern: “A Virtual Tour of Bethlehem and the Nativity” with Teresa Tomeo on Ave Maria Radio (for info on our pilgrimage together in April visit Teresa and Steve in Israel). My run from Bethlehem to Jerusalem, click here. Wednesday at 3:15 Eastern: “A Virtual Tour of Bethlehem and the Nativity” with Drew Mariani on Relevant Radio. *** On Catholic Answers Live we discussed the Muslim cleric announcing that to say “Merry Christmas” is more evil than to murder or fornicate. Do we want guys like this making the laws in our land, or even influencing us with their Sharia Law? Listen carefully and then decide to protect our life and faith and truth for our children and grandchildren. What does this profound Catholic philosopher and theologian teach about Islam? Take the time to educate yourself against this Muslim heretic here. Peter Krreft’s talk is about defending faith and freedom and understanding the truth of reality.